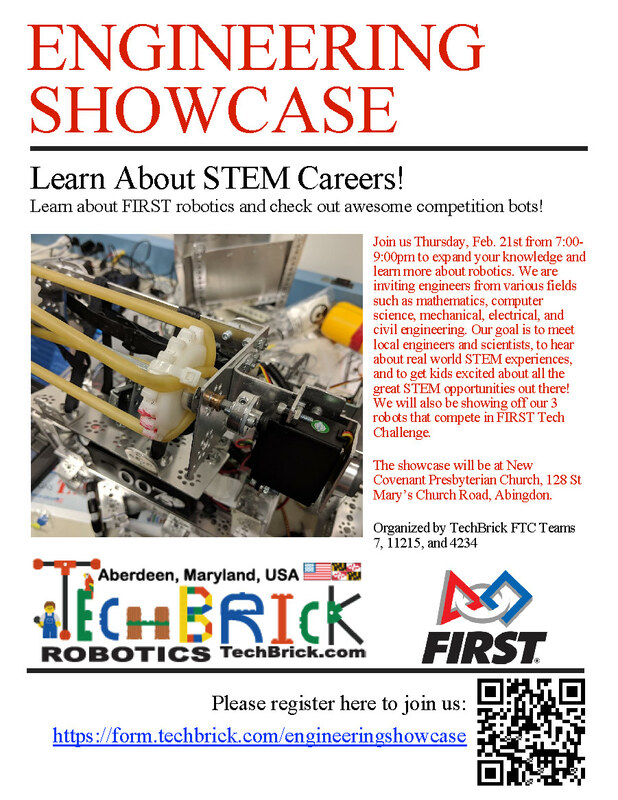 Three Amazing Events Sponsored by TechBrick Teams: Check it out. Please read all three and consider bringing your family and friends! Learn about FIRST robotics and check out awesome competition bots! Techbrick education is proud to announce that all three of our FTC robotics teams have earned a spot at the Maryland state championships. Join us for a night of fun and painting to raise money for these amazing kids! Come and paint a feeling of spring. Great food and drinks available for purchase from the restaurant. Local artist Shawn Forton will guide you! The proceeds of this paint night will go directly to helping fund their competition. All three teams are comprised of local kids in our area aged 12-17. Please join us on Feb 18th at 6:30 pm to paint. You’re invited to a Flapjack Fundraiser Breakfast to support TECHBRICK ROBOTICS PROGRAM. 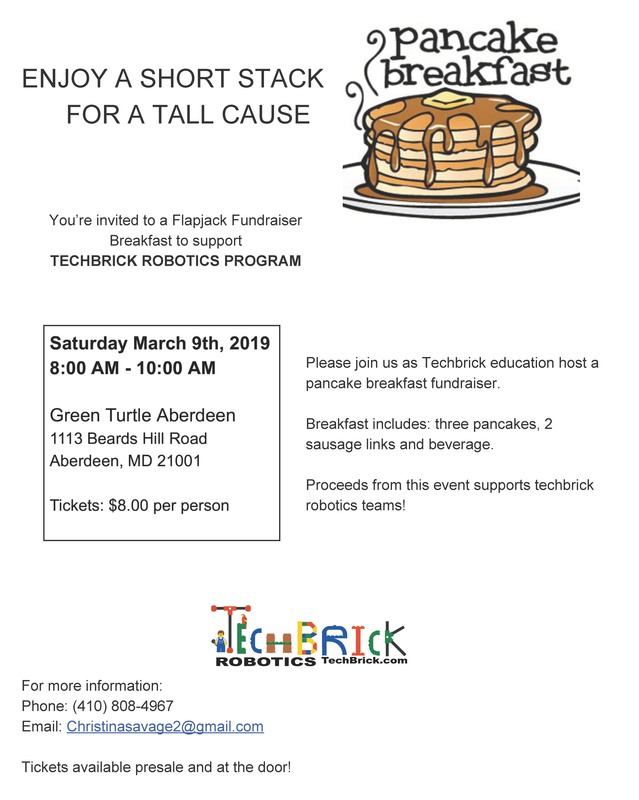 Please join us as Techbrick education host a pancake breakfast fundraiser. Breakfast includes: three pancakes, 2 sausage links and beverage. 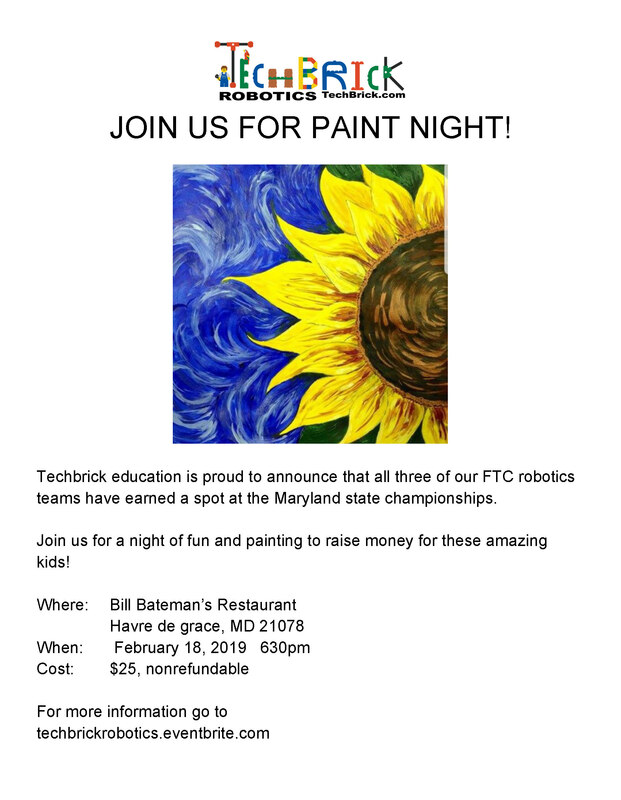 Proceeds from this event supports TechBrick’s robotics teams! Tickets available presale and at the door!